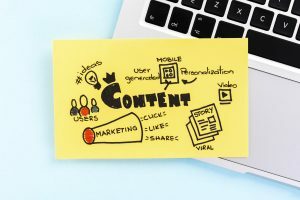 Content marketing is a great way to build credibility, but it requires a significant amount of time and, after a while, it can be difficult to come up with fresh ideas. Let’s pause for one second for those of you asking, “What is content marketing?” Content marketing is very simply developing valuable and relevant content for your target audience whether for your blog, social media, website, or a publication. You don’t need to limit repurposed content to your own ideas. Look to other industry leaders and content creators for inspiration, too. Scan the news, read industry blogs and add your own spin. If you paraphrase another person’s work, don’t forget to give credit (this post was inspired by a blog on Attorney at Work—thanks!). Whether you’re drawing inspiration from another source or you want to extend the shelf life of one of your own ideas, remember to think outside of the box. Is there another angle you can take? An upcoming holiday or event that you can tie it into? New information you can add? Build off the topic, don’t just repeat it. Well before you start creating any content (or any marketing message, for that matter), you should identify who you’re trying to talk to and what kind of language, images and platforms will appeal to them. This is especially important when repurposing. The same topic might appeal to a wide range of people, but if you don’t package it the right way, you’ll have lost your audience before you even begin. One person might be willing to watch a webinar, while that’s totally out of the question for another member of your audience—maybe they’re more likely to read a recap in an e-newsletter, for example. Pay particular attention to the voice and tone you use in written work. The language you use to speak to someone in your industry is probably quite different from how you would explain your work to a layperson. Let’s say you gave a talk at an industry conference and received good feedback. Great! It’s absolutely a good idea to leverage that success and repurpose the topic. But just because it works on one platform, that doesn’t necessarily mean it will work on another. Posting the video of the entire talk on your Facebook page probably wouldn’t be as successful. Why? Because people are drawn to flashy, easy-to-digest online content—and a long, jargon-filled video doesn’t fit the bill. Instead, the talk should be cut down, summarized and broken up with different images. Repurposing content is simple, but if you want to see results, you can’t get away with using the same exact piece of content over and over again across every platform. Repurposing content is the crux of our work at Berbay for professional services businesses. We’ve used one piece of content five different ways through a multitude of channels. Not only does this method far extend the value and shelf life of one piece, but it allows you to save time by not constantly reinventing the wheel.